Sunday afternoon I was transfixed by a dazzling production by the Castilleja Upper School Theatre: City of Angels. From the moment I sat down in my seat I could tell I was in for a treat, as the set design and production reflected a professional approach and execution, a combination not always present in high-school theater. And yet, this was simply the backdrop to the ambitious show that followed. From the moment the Angel City Four stepped on stage I was taken on a musical ride that would delight and challenge me. The complexity of the music was evident from the beginning and yet the performers belted and swayed with calm and powerful rhythm. As this was not a musical that I had seen before today, I was not prepared for the plot twists and juxtaposition of the “real” and “imaginary” plot lines. And in the end it didn’t matter as I was captivated by the music and the vocals and the vivid performances. As a fan watching from the seats, I had the urge to say: “Hey! I know her!” and I am struck thinking about how much of themselves these students gave to this endeavor. It is a testament to their director, Kristin Walter, and the students that they emptied their hearts and minds and countless hours to make this production great. Because it was simply great. And to those performers who are also students in my class, I say “thank you” for somehow finding a way to be academic these past few weeks while taking part in this fantastic muscial. It is an honor to know such committed students. 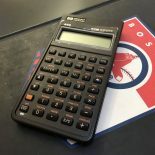 This entry was posted on 2018-04-29 by soxteacher in Fun, Personal, Stories and tagged City of Angels, theatre.